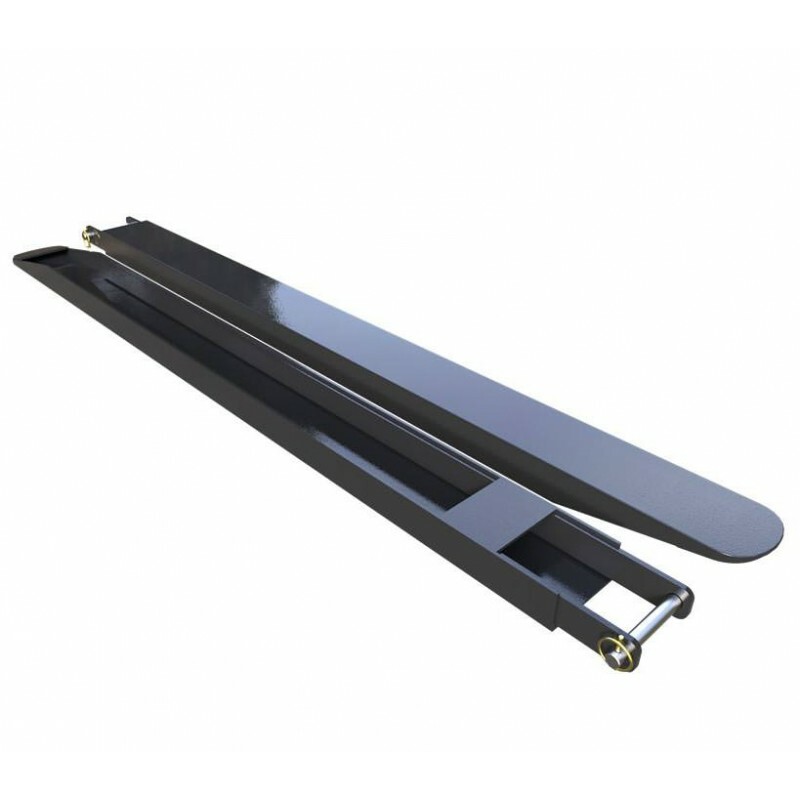 Ideal for safe and stable handling of loads which are longer than the forklift forks, our fork extensions offer long reach and stabilising capabilities, whilst retaining the manoeuvrability of the lift truck for conventional operating. 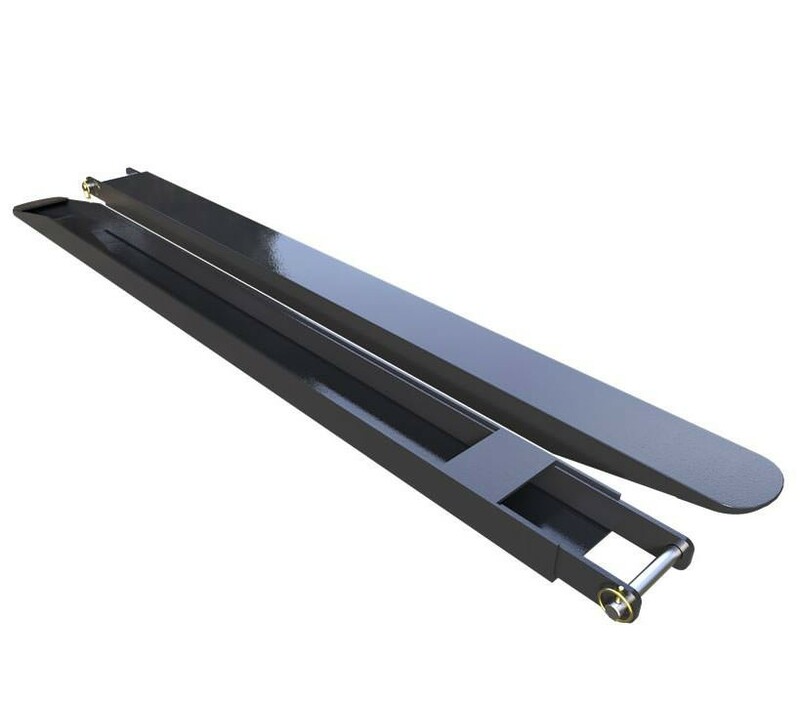 Manufactured from heavy duty 5mm thick steel with additional 8mm thick internal strengthening plates, all our fork extensions incorporate a fully rounded toe, with heavy duty capping, for easy entry into and out of loads or pallets. 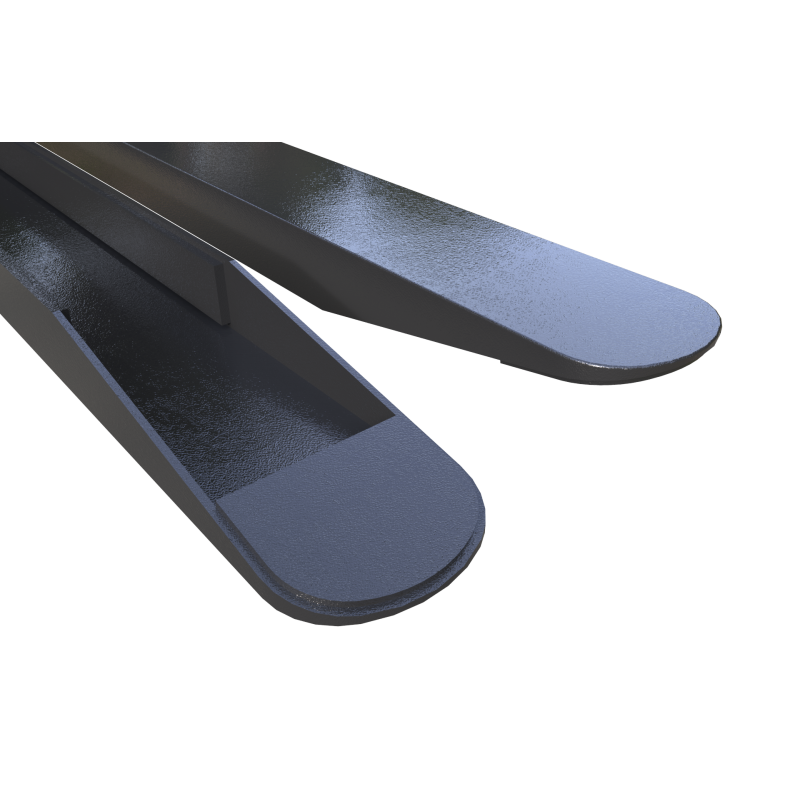 A removable heel pin allows for drive in entry, negating the need for manual lifting (in compliance with Health & Safety manual lifting regulations), whilst ensuring the fork extensions are safely secured to the truck forks. "We lift various items that were wider than before, and with cost being a factor, we saw your fork extensions on the website. The fork extensions provided have allowed our workforce to carry out their work safely and your sales team were very helpful on the phone, ensuring the fork extension I was purchasing was suitable for the task in hand"
"The forks we had were only 900mm long and we needed fork extensions to load and unload vehicles. 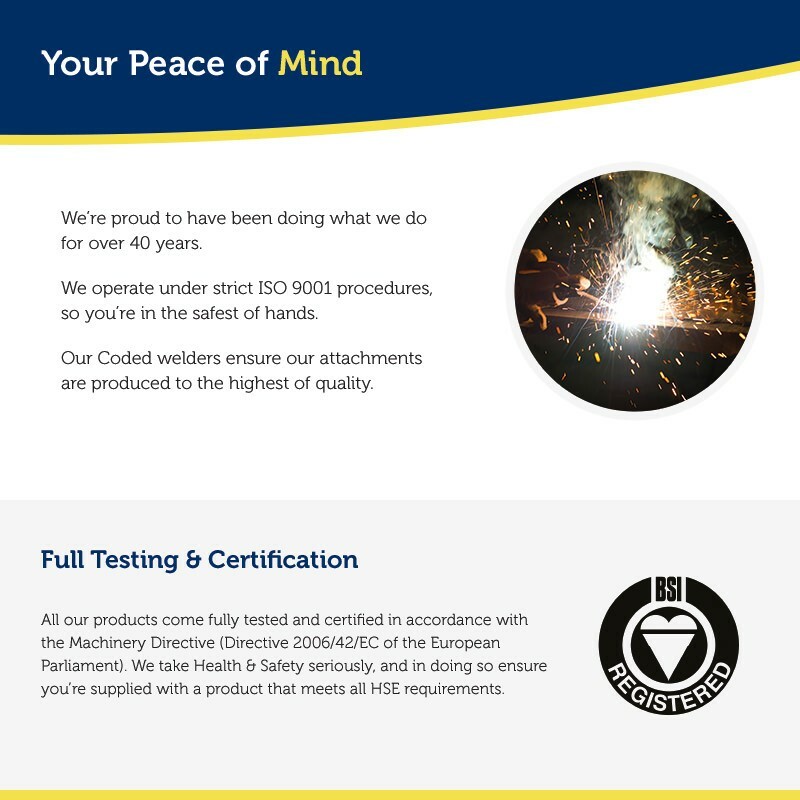 The extensions have ensured we are now safer when loading and unloading and we will have less issues with damages. Your company was very quick in replying and excellent with the information provided. The price was very good and the delivery was done in a very short time frame. The whole experience was excellent I will definitely use you again"
"We have to move portable pay kiosks which are very unstable on the forks. The fork extensions enable us to move these kiosks safely and without any problems. We chose your company because of the build quality and price and are very happy with the fork extensions"
"Having recently manufactured fixtures for Rolls Royce weighing over 2300kgs, which had to be packed in crates, our challenge was managing the length of the forks as when we attempted to lift the crates the wooden runs would split and crack. Your fork extensions allowed us to distribute the load more evenly. The high quality extensions were delivered well within the timescale. It was a breeze to deal with you and have no concerns about purchasing again"
What is the maximum length of fork extensions I can have based on a 1200mm long fork ?